participation in the Mass is aided by prayers of preparation and thanksgiving for the gift and mystery of the Eucharist. 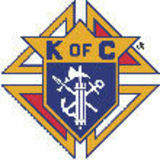 Prayer Time is a wonderful companion to members of the Knights of Columbus and their families. The Order constantly stresses the importance of sound family life and that requires families to pray together. How wonderful if Knights and their families throughout the world would spend time together each day offering prayers found in this wonderful volume. It goes without saying, that Prayer Time is a wonderful companion for anyone who truly wants to grow in holiness. In introducing this book, it is my hope and prayer that many will adopt it as a companion for their spiritual journey; that this book will become a well-used and venerable resource for your daily prayer and a witness to your growth in friendship with the Lord. May God bless you and keep you in his love. my God, relying on Thy infinite power, goodness and promises, I hope to obtain pardon for my sins, the help of Thy grace, and life everlasting through the merits of Jesus Christ, my Lord and Redeemer. Amen. to give His people knowledge of salvation by the forgiveness of their sins. In the tender compassion of our God the dawn from on high shall break upon us, to shine on those who dwell in darkness and the shadow of death, and to guide our feet into the way of peace. (Luke 1:68-79) O Lord, grant me to greet the coming day in peace, help me in all things to rely upon Your holy will. In every hour of the day reveal Your will to me. Bless my dealings with all who surround me. Teach me to treat all that comes to throughout the day with peace of soul and with firm conviction that Your will governs all. In all my deeds and words, guide my thoughts and feelings. In unforeseen events, let me not forget that all are sent by You. Teach me to act firmly and wisely, without embittering and embarrassing others. Give me strength to bear the fatigue of the coming day with all that it shall bring. Direct my will, and teach me to pray. Amen. On Sundays and holy days pray the Te Deum on page 8.
my spirit rejoices in God my Savior; for he has looked with favor on His lowly servant. From this day all generations will call me blessed: the Almighty has done great things for me, and holy is His Name. He has mercy on those who fear Him in every generation. He has shown the strength of His arm, he has scattered the proud in their conceit. He has cast down the mighty from their thrones, and has lifted up the lowly. He has filled the hungry with good things, and the rich he has sent away empty. He has come to the help of His servant Israel for He has remembered His promise of mercy, the promise He made to our fathers, to Abraham and His children for ever. O my God, I thank You for having preserved me today and for having given me so many blessings and graces. I renew my dedication to You and ask Your pardon for all my sins. (make an examination of conscience quietly then pray The Canticle of Simeon which follows) Protect us, Lord, as we stay awake; watch over us as we sleep, that awake we may keep watch with Christ, and asleep, rest in His peace (alleluia). Lord, now let Your servant go in peace; according to Your word: for my eyes have seen Your salvation which You have prepared in the presence of all peoples: a light for revelation to the Gentiles and for glory to Your people Israel. Glory be to the Father, and to the Son, and to the Holy Spirit. As it was in the beginning, is now and ever shall be, world without end. Amen. Protect us, Lord, as we stay awake; watch over us as we sleep, that awake we may keep watch with Christ, and asleep, rest in His peace (alleluia). O God, we praise Thee: we acknowledge Thee to be the Lord. Everlasting Father, all the earth worships Thee. All the Angels, the heavens and all angelic powers, all the Cherubim and Seraphim, continuously cry to Thee: Holy, Holy, Holy, Lord God of Hosts! Heaven and earth are full of the Majesty of Thy glory. The glorious choir of the Apostles, the wonderful company of Prophets, the white-robed army of Martyrs, praise Thee. The Holy Church throughout the world acknowledges Thee: The Father of infinite Majesty; Thy adorable, true and only Son; and the Holy Spirit, the Comforter. O Christ, Thou art the King of glory! Thou art the everlasting Son of the Father. When Thou took it upon Thyself to deliver man, Thou didst not disdain the Virginâ&#x20AC;&#x2122;s womb. Having overcome the sting of death, Thou opened the Kingdom of Heaven to all believers. Thou sit at the right hand of God in the glory of the Father. We believe that Thou will come to be our Judge. We, therefore, beg Thee to help Thy servants whom Thou hast redeemed with Thy Precious Blood. Let them be numbered with Thy Saints in everlasting glory. The angel of the Lord declared unto Mary. R. And she conceived of the Holy Spirit. (Hail Mary) V. Behold the handmaid of the Lord. R. Be it done unto me according to Thy word. (Hail Mary) V. And the Word was made flesh. R. And dwelt among us. (Hail Mary) V. Pray for us, O Holy Mother of God. R. That we may be made worthy of the promises of Christ. Let us pray: Pour forth, we beseech Thee, O Lord, Thy grace into our hearts, that we, to whom the Incarnation of Christ, Thy Son, was made known by the message of an angel, may, by His Passion and Cross, be brought to the glory of His resurrection. Through the same Christ, our Lord. Amen. Regina Coeli Throughout the Easter Season â&#x20AC;&#x201C; from Easter to Trinity Sunday â&#x20AC;&#x201C; the Regina Coeli (Queen of Heaven) is prayed. Queen of Heaven; rejoice, alleluia: For He Whom Thou didst to merit to bear, alleluia, Has risen as He said, alleluia. Pray for us to God, alleluia. V. Rejoice and be glad, O Virgin Mary, alleluia. R. Because the Lord is truly risen, alleluia. Let us pray. O God, Who through the resurrection of Thy Son, our Lord Jesus Christ, deigned to gladden the world: grant, we beseech Thee, that through the Virgin Mary, His Mother, we may receive the joys of eternal life. Through the Same Christ our Lord. Amen. of mercy toward us and after this our exile show unto us the blessed fruit of Thy womb, Jesus. O clement, O loving, O sweet Virgin Mary! my spirit rejoices in God my Savior; for He has looked with favor on His lowly servant. From this day all generations will call me blessed: the Almighty has done great things for me, and holy is His Name. He has mercy on those who fear Him in every generation. He has shown the strength of His arm, He has scattered the proud in their conceit. He has cast down the mighty from their thrones, and has lifted up the lowly. He has filled the hungry with good things, and the rich He has sent away empty. He has come to the help of His servant Israel for He has remembered His promise of mercy, the promise He made to our fathers, to Abraham and His children for ever. Remember, O most gracious Virgin Mary, that never was it known that anyone who fled to thy protection, implored thy help or sought thy intercession, was left unaided. Inspired by this confidence, I fly unto thee, O Virgin of virgins, my Mother. To thee do I come, before thee I stand sinful and sorrowful. O Mother of the Word Incarnate, despise not my petitions, but in thy mercy, hear and answer me. Amen. O sacred banquet, in which Christ is received, the memory of His Passion is renewed, the mind is filled with grace, and a pledge of future glory is given to us. V. Thou didst give them bread from heaven. R. Containing in itself all sweetness. Let us pray: O God, Who under a wonderful Sacrament hast left us a memorial of Thy Passion; grant us, we beseech Thee, so to venerate the sacred mysteries of Thy Body and Blood, that we may ever feel within ourselves the fruit of Thy redemption. Who livest and reignest forever and ever. Amen. Behold, O good and sweetest Jesus, I cast myself upon my knees in Thy sight, and with the most fervent desire of my soul I pray and beseech Thee to impress upon my heart lively sentiments of faith, hope and charity, true repentance for my sins and a most firm purpose of amendment: Whilst with deep affection and grief of soul I consider within myself and mentally contemplate Thy five most precious Wounds, having before my eyes that which David, the prophet, long ago spoke in Thy own person concerning Thee, my Jesus, They have pierced my hands and my feet; they have numbered all my bones. Come, O Holy Spirit, fill the hearts of Your faithful, R. And enkindle in them the fire of Your love. V. Send forth Your Spirit, and they shall be created. R. And You shall renew the face of the earth. Let us pray: O God, who by the light of the Holy Spirit did instruct the hearts of the faithful, grant that in the same Spirit we may be truly wise, and ever rejoice in His consolation. Through Christ our Lord. Amen. Prayer to the Sacred Heart of Jesus My God, my Savior, I adore Thy Sacred Heart, for that heart is the seat and source of all Thy tender human affections for us sinners. It is the instrument and organ of Thy love. It did beat for us. It yearned over us. It ached for us, and for our salvation. It was on fire through zeal, that the glory of God might be manifested in and by us. It is the channel through which has come to us all Thy overflowing human affection, all Thy Divine Charity towards us. All Thy incomprehensible compassion for us, as God and Man, as our Creator and our Redeemer and Judge, has come to us, and comes, in one inseparably mingled stream, through that Sacred Heart. O most Sacred symbol and Sacrament of Love, divine and human, in its fullness, Thou didst save me by Thy divine strength, and Thy human affection, and then at length by that wonder-working blood, wherewith Thou didst overflow. O most Sacred, most loving Heart of Jesus, Thou art concealed in the Holy Eucharist, and Thou beat for us still. Now as then Thou save, Desiderio desideravi—“With desire I have desired.” I worship Thee then with all my best love and awe, with my fervent affection, with my most subdued, most resolved will. O my God, when Thou dost condescend to suffer me to receive Thee, to eat and drink Thee, and Thou for a while take up Thy abode within me, O make my heart beat with Thy Heart. Purify it of all that is earthly, all that is proud and sensual, all that is hard and cruel, of all perversity, of all disorder, of all deadness. So fill it with Thee, that neither the events of the day nor the circumstances of the time may have power to ruffle it, but that in Thy love and Thy fear it may have peace. Amen. O Father, inspire among Christians many holy vocations to the priesthood that keep alive the faith and preserve the grateful memory of your son Jesus through preaching his Word and administering the Sacraments with which you ceaselessly renew your faithful. Call forth ministers of your mercy who, through the sacrament of Reconciliation, may spread the joy of your forgiveness. O Father, make the Church welcome joyously the many inspirations of the Spirit of your Son and, docile to His teachings, nurture vocations to the priestly ministry and to the consecrated life. Support the bishops, priests and deacons, the consecrated persons and all the baptized in Christ, so that they may faithfully fulfill their mission at the service of the Gospel. We adore You, O Christ, and we bless Thee; because by Thy holy Cross Thou hast redeemed the world. Stations of the Cross The Stations of the Cross is a school of faith, the faith which by its very nature â&#x20AC;&#x153;works through loveâ&#x20AC;? (Galatians 5:6). Let us pray. Brief pause in silence. Jesus, innocent victim of sin, receive us as companions on Your Paschal path, which from death leads to life, and teach us to live the time that we spend on earth rooted in faith in You, who have loved us and given Yourself up for us. You are the Christ, the one Lord, who live and reign for ever and ever. Amen. The verse is said after each station is announced: V. We adore You, O Christ, and we bless You. 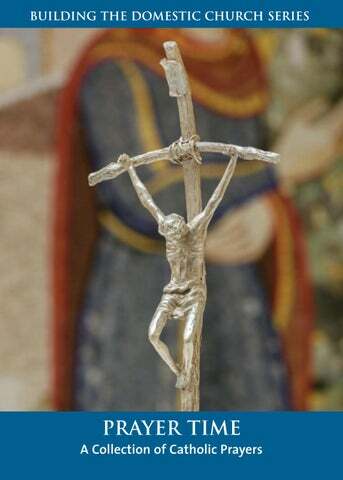 R. Because by Your holy cross You have redeemed the world. 1. 2. 3. 4. 5. 6. 7. Let us pray. Brief pause in silence. Jesus, Lord rich in mercy, You were made man so as to become our brother, and by Your death conquer death. You descended into Hades so as to free mankind, to make us live again with You, we are risen and called to sit with You in the heavenly places. Good Shepherd who leads us to restful waters, take us in Your hand when we cross the valley of darkness, so that we may stay with You and contemplate for ever Your glory. Amen. The Way of the Cross at the Roman Coliseum with Pope John Paul II, presiding on Good Friday, 2004. Heavenly Father, look upon our community of faith which is the Church of Your Son, Jesus Christ. Help us to witness to His love by loving all our fellow creatures without exception. Under the leadership of the Holy Father and the Bishops keep us faithful to Christ’s mission of calling all men and women to Your service so that there may be “one fold and one shepherd.” We ask this through Christ our Lord. Amen. Heavenly Father, be pleased to bless and protect our Holy Father, Pope N., whom You have chosen as the successor of Saint Peter to be chief minister of unity and charity in the Church. Keep him safe in holiness of life and in wise fulfillment of his awesome responsibilities. We ask this through Christ our Lord. Amen. Heavenly Father, since the time of the Apostles You have inspired the Church to commission certain members to assist in a special way in the pastoral mission of Christ. Bless the deacons and all other ministers that they may be humble and faithinspired in their service. We ask this through Christ our Lord. Amen. Heavenly Father, in my present need, help me to believe that You are aware of my anxiety and will do what is best for me. Give me the strength to trust You and put the present and future in Your hands. Grant this through Christ our Lord. Amen. God of the spirits and of all flesh, who have trampled death and annihilated the devil and given life to Your world, may You Yourself, O Lord, grant to the soul of Your deceased servant N. rest in a place of light, a verdant place, a place of freshness, from where suffering, pain and cries are far removed. Do You, O good and compassionate God forgive every fault committed by Your servant in word, work or thought because there is no man who lives and does not sin. You alone are without sin and Your justice is justice throughout the ages and Your word is truth. Since You, O Christ our God, are the resurrection, the life and the repose of N., Your servant, we give You glory together with Your un-begotten Father and Your most holy, good and life-creating Spirit, now and always and forever and ever. Eternal rest grant unto N., O Lord, and let perpetual light shine upon him (her). May he (she) rest in peace. Amen. O leaders of the heavenly armies, although we are always unworthy, we beseech you that with your prayers you may encircle us with the protection of the wings of your angelic glory. Watch over us as we bow low and earnestly cry out to you: Deliver us from trouble, O princes of the heavenly armies. know, will abuse my kindness. And I will lock myself up in the most merciful Heart of Jesus. I will bear my own suffering in silence. May your mercy, O Lord, rest upon me. Jesus I trust in You! Lord, make me an instrument of Thy peace. Where there is hatred, let me sow love. Where there is injury, pardon; Where there is doubt, faith. Where there is despair, hope; Where there is darkness, light; and where there is sadness, joy. O Divine Master, grant that I may not so much seek to be consoled as to console; to be understood as to understand; to be loved as to love. For it is in giving that we receive, it is in pardoning that we are pardoned, and it is in dying that we are born to eternal life. O God, in Your wonderful providence You were pleased to choose Blessed Joseph to be the spouse of Your most holy Mother. Grant, we beg You, that we may be worthy to have him for our intercessor in heaven whom we venerate on earth as our protector. You who live and reign forever and ever. Amen. Prayer to St. Jude Saint Jude, glorious Apostle, faithful servant and friend of Jesus: The name of the traitor has caused you to be forgotten by many, but the true Church invokes you universally as the Patron of things despaired of. Pray for me, that finally I may receive the consolations and the succor of Heaven in all my necessities, tribulations and sufferings, particularly (here make your request), and that I may bless God with the Elect throughout eternity. Amen. Saint Jude, Apostle, martyr and relative of our Lord Jesus Christ, of Mary and of Joseph, intercede for us. I bind unto myself today the power of God to hold And lead, His eye to watch, His might to stay, His ear to hearken to my need; the wisdom of my God to teach, His hand to guide, His shield to ward; the word of God to give me speech, His heavâ&#x20AC;&#x2122;nly host to be my guard. Christ be with me, Christ within me, Christ behind me, Christ before me, Christ beside me, Christ to win me, Christ to comfort me and restore me, Christ beneath me, Christ above me, Christ in the hearts of all who love me, Christ in the mouth of friend and stranger, I bind unto myself the Name, the strong Name of the Trinity, by invocation of the same, the Three in One, and One in Three, of whom all nature hath creation; Eternal Father, Spirit, Word: praise to the Lord of my salvation, salvation is of Christ the Lord. Amen. The Corporal Works of Mercy 1. 2. 3. 4. 5. 6. 7. The Spiritual Works of Mercy 1. 2. 3. 4. 5. 6. 7. The Seven Gifts of the Holy Spirit 1. 2. 3. 4. The Twelve Fruits of the Holy Spirit 1. 2. 3. 4. 5. 6. The Seven Capital Sins 1. 2. 3. 4. The Precepts of the Church 1. Prescriptions for the Eucharistic Fast 1. Canon 1252 All persons who have completed their fourteenth year are bound by the law of abstinence; all adults are bound by the law of fast up to the beginning of their sixtieth year. Nevertheless, pastors and parents are to see to it that minors who are not bound by the law of fast and abstinence are educated in an authentic sense of penance. Canon 1253 It is for the conference of bishops to determine more precisely the observance of fast and abstinence and to substitute in whole or in part for fast and abstinence other forms of penance, especially works of charity and exercises of piety. • December 25, the solemnity of the Nativity of Our Lord Jesus Christ. Whenever January 1, the solemnity of Mary, Mother of God, or August 15, the solemnity of the Assumption, or November 1, the solemnity of All Saints, falls on a Saturday or on a Monday, the precept to attend Mass is abrogated. In some dioceses the Solemnity of the Ascension is celebrated on the Seventh Sunday of Easter. Holy Days of Obligation in Canada In addition to Sunday, the days to be observed as holy days of obligation in the Latin Rite dioceses of Canada, in conformity with canon 1246 §2 of the Code of Canon Law, are as follows: • January 1, the solemnity of Mary, Mother of God; • December 25, the solemnity of the Nativity of Our Lord Jesus Christ. The bishops of Canada have transferred all other holy days to the nearest Sunday. The Act of Contrition O my God, I am heartily sorry for having offended Thee and I detest all my sins, because I dread the loss of heaven and the pains of hell; but most of all because they offend Thee, my God, Who are all good and deserving of all my love. I firmly resolve, with the help of Thy grace, to confess my sins, to do penance, and to amend my life. Amen. Do the penance given by the priest. readings from sacred Scripture may be done from a childrenâ&#x20AC;&#x2122;s version of the Bible. Letâ&#x20AC;&#x2122;s begin with the Sign of the Cross. In the name of the Father X and of the Son and of the Holy Spirit. Amen. Dear Jesus, we are here to spend a few minutes with You in prayer. We want to praise You, to pray for ourselves, our friends and neighbors, and for everyone in the world. We know that You came to call all of us to know, love and serve Your heavenly Father so that we would be a happy family and at peace. Jesus, be close to us now as we pray to the Father in the words You taught us. Our Father, who art in heaven, hallowed be Thy name; Thy kingdom come; Thy will be done on earth as it is in heaven; give us this day our daily bread; and forgive us our trespasses as we forgive those who trespass against us; and lead us not into temptation, but deliver us from evil. Jesus, as God, You were in existence before the world was made. Then You became man with Mary as Your mother so that You could tell the world how You and the Father and the Holy Spirit together love all of us and want to share Your holy life with us. All praise to this Most Holy Trinity. Letâ&#x20AC;&#x2122;s talk a little bit about the gospel passage. Would you like to tell the story your own words? Who were the good people in the story? Were there any bad people in the story? Suppose you had been there; what would you have done? What does the story mean for your life? I think now that we should pray for our family and for all families. We can begin by remembering the Holy Family of Jesus, Mary and Saint Joseph. They had their good times and parties and they had their hard times too, or when Jesus went to Jerusalem and got lost. But they were happy because they loved each other and were kind and helpful to each other. So let us pray that God will help us to be a kind and loving family with each one trying to obey God and to help one another. (The following paragraphs may be added occasionally.) Of course, the Holy Family had relatives and friends, and they cared about them too. We remember how Mary went to stay with Elizabeth when she was going to have a baby. And Saint Joseph was a carpenter and was always fixing things for the neighbors. And Jesus, besides being a young boy was also God, so He was always being good to others. Imagine living next to Jesus! Could He ever help you with your homework! So let us pray for our friends and relatives that God will bless them and keep them from harm. When Jesus grew up and left home to go around preaching about God the Father and His love for us all, Jesus remembered how happy He had been with His family and tried to make everyone understand that we are really one big family, with God as our Father. He talked about being kind, about forgiving those who hurt us, about saying bad things about other people, about taking care of the hungry and those who have no families of their own. Jesus also taught us to pray for everyone, even our enemies. So let us pray for everybody in the world and especially for those who have no one to care about them. There were men and women who listened to Jesus and prayed with Him for those who were poor or sick or hungry or did not know that God the Father loved them. Jesus said to many of these men and women, “I am glad that you are praying with me. But I would like you to work with me too.” So the Apostles and others went around preaching about God’s love. Other men, and some women too, were busy helping the sick and feeding the hungry and teaching the children. As we grow up, Jesus says to us, “I am glad that you are praying for your family and for others. I would like you to work with me too.” To some He says, “I want you to get married and teach your children to be good and loving. To some boys he says, “I would like you to be priests when you grow up.” To others Jesus says, “I would like you to be religious brothers when you grow up.” To some girls He says, “I would like you to be nuns when you grow up.” And to still others, boys and girls, Jesus says, “I would like you to grow up to be single people working in the world and helping me to make others understand that God loves them.” So let us pray that as we grow up, we will try to know what Jesus wants us to be, and that we will be ready to listen to Him. Dear Jesus, we pray with You to the Heavenly Father for all the men and women and children of the world, those who live with their families and those who do not. Make us kind and generous to one another and protect us with Your loving care. Mary, our Mother, and good Saint Joseph, keep us close to Jesus so that we too will be a holy family. Amen. Now let us close by asking Godâ&#x20AC;&#x2122;s blessing. May almighty God bless us, X Father, Son and Holy Spirit. Amen.